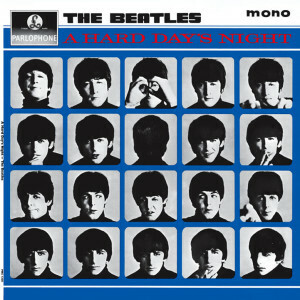 A Hard Day’s Night was all we could talk about. I’d seen the film three times and knew the words to every song. Walking by the lake one sunny afternoon, I caught sight of something in the shrubbery. I moved closer. It was a red bicycle, rusty, battered basket, a big bone shaker bicycle which appeared to be abandoned. I left it there of course, it wasn’t mine. That night I could think of nothing else; the Beatles, music, boys and their silly ways were history. The red bicycle filled my mind. I told two friends, boys, plus my older brother and the following day led them to my find; it really must be homeless. We’d leave it one more day and then decide what to do. Relief, it was still there. The boys wanted to take charge, but it was my discovery. With a struggle we pulled the bicycle out from the bushes, it was quite heavy and very different to the one I’d left behind in some place called storage. My father was in the army and we had recently moved to Kladow in Berlin. I hadn’t wanted to leave my school, my friends and my lovely midnight blue bicycle, but once we arrived and I discovered that I could see the lake from my bedroom window, could see the pine and cherry trees around the apartment and the wonder I felt when told that the border between East and West Berlin was just up the road, it quickly became a place of excitement and mystery. The boys got their way. They had the first rides, but the bicycle was rather rickety and the all fell off it. I remember laughing because they were just boys. When it was my turn, I was cautious. I couldn’t reach the seat so scootered it until I was on the flat alongside the lake, the Havel. Then cycling was easy and quite soon I was close to the dividing barbed wire fence, the closest I’d ever been. I knew I shouldn’t go closer, but I did. I could vaguely hear my brother and the boys shouting my name, but carried on stopping only at the fence.